“Apocalypse” in general started to get what feels like clarity in the fifth episode, which took place completely in flashbacks to before the nuclear bombs fells. It provided some very important backstory, depicting Michael Langdon’s rise through the ranks of the warlocks and his passing of the Seven Wonders tests by bringing Misty Day (Lily Rabe) back from her own personal hell. But it seems like pretty much everybody knows something is wrong with Langdon is a very big way, and the episode ends with Cordelia (Sarah Paulson) sending Madison (Emma Roberts) off to investigate Langdon’s past. And the warlock Behold Chablis (Billy Porter) decides to tag along with Madison because he has “a gut feeling. A bad one.” And where are they going? 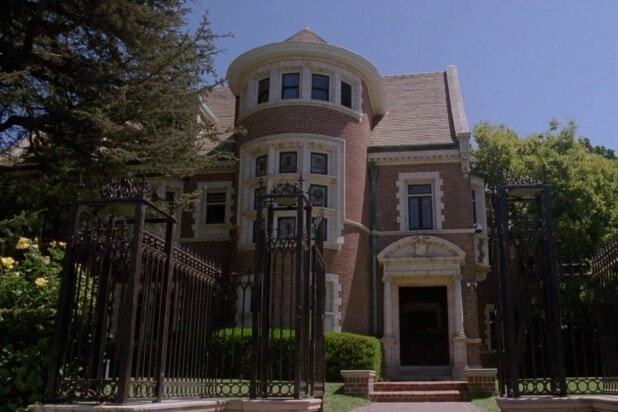 To the Murder House itself where all that really messed up stuff happened that ultimately spawned Langdon. And you shouldn’t worry that they’re going to put off that Murder House stuff, because next week’s episode is literally titled “Return to Murder House,” and the tease for the episode is all about that house. 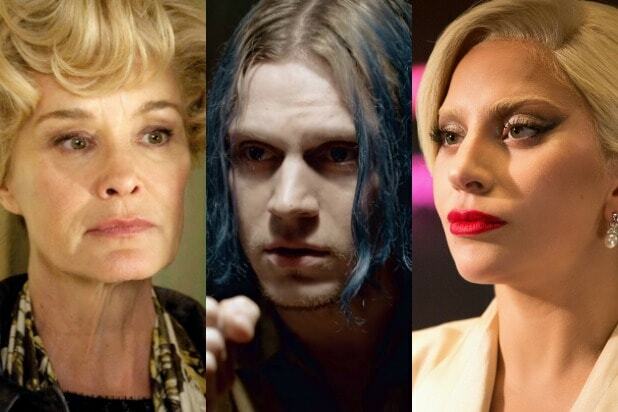 Presumably, this means we’re probably finally going to see the return of Season 1 stars Connie Britton, Dylan McDermott and Taissa Farmiga (again, as she’s also shown up as the witch Zoe), who are are coming back as the Harmons, as well as Jessica Lange and Evan Peters (also again), as Constance and Tate Langdon, Michael’s grandmother and ghost father, respectively. Lange has particularly been the one everybody’s been hype for since this crossover season was first detailed, for obvious reasons — Jessica Lange is a legend, and will no doubt liven up “Apocalypse” significantly. She does pop up ever so briefly in the teaser for next week’s episode — along with, conspicuously, the Rubber Man. Anyway, only one more week, hopefully, until we start getting that good TV content. Fingers crossed, anyway.